Got up just in time to leave at 8. This is how our albergue looked like – beds had sheets and pillows, but no blankets, so you need to use a sleeping bag or your clothes for cover. The owner did not ask for payment, you could make donations, and in these cases people usually donate 5 EUR. 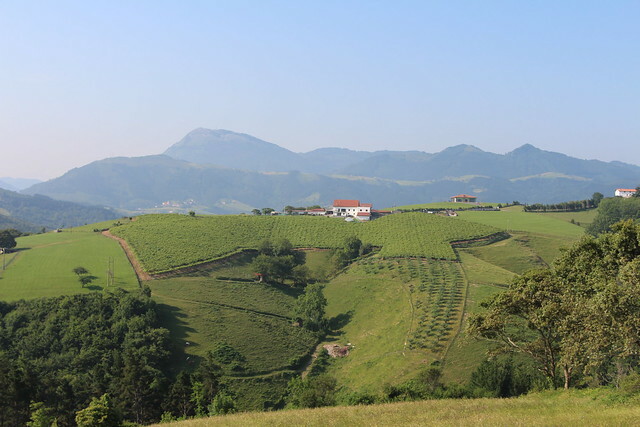 At first we ate breakfast in a cafe with WiFi, checked email and continued our way to Deba. It was easy and fast at beginning. But soon we realised that this day would be just as hard as first one – many ups and downs, but very nice sights as well. 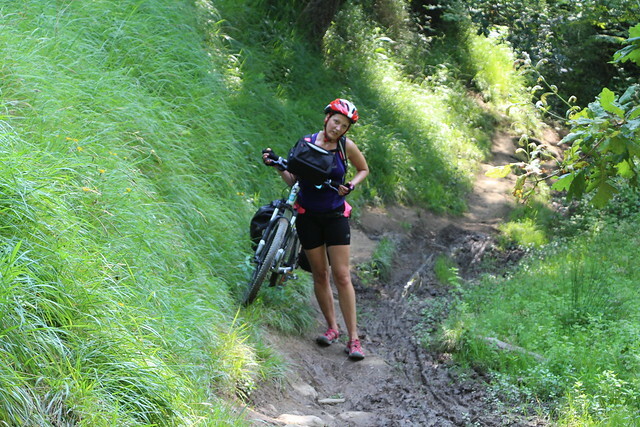 And of course, we did not miss some small forest paths with mud, rocks and other stuff that made our way a bit more difficult. 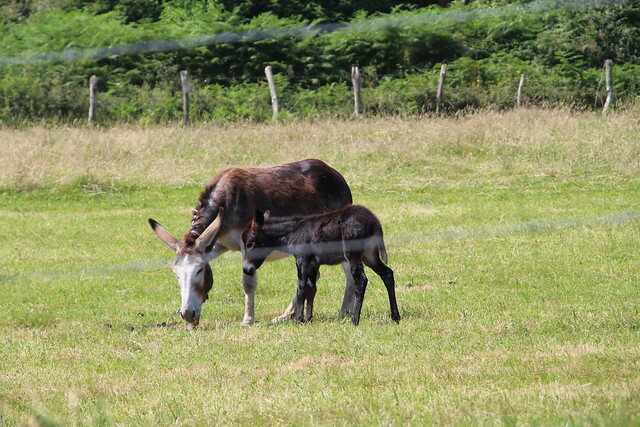 Just like in first day, saw some animals – donkeys and ponnies. 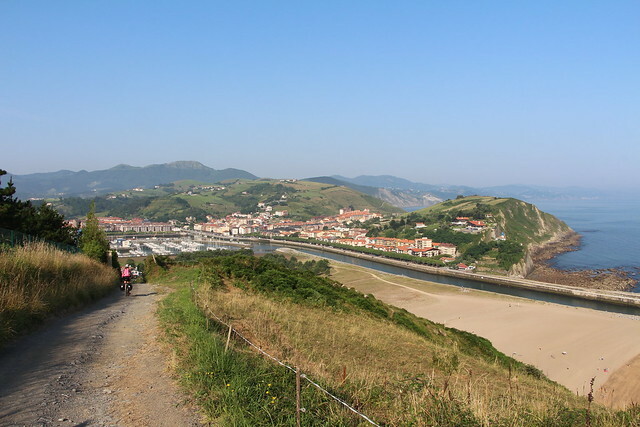 After 4h and 25km reached Deba – those who walk the route, stay here overnight. But we wanted to do 2 walking distances, so we went further to Markina. 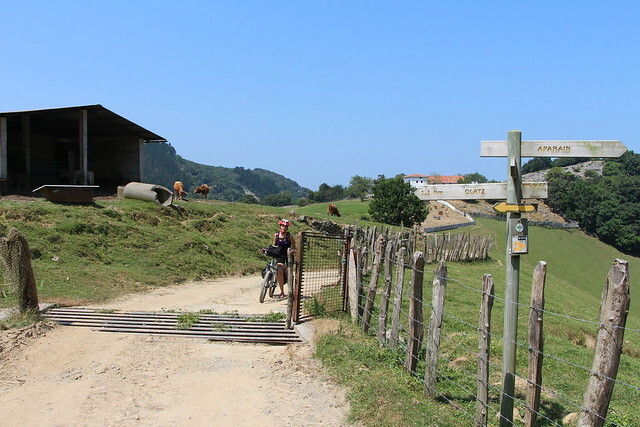 And this was the hardest part of our day – the roads gained 500m in elevation, but comparing to first day, this time the roads were more bike friendly. Anyway – prepare for some suffering. Somewhere in the middle we needed to go through a farm with many bulls, and some of them were standing right on the road and when we came near – we got their full attention, which was a bit scary. There were no people around, we decided to wait a bit, so bulls would walk off the road, and when we passed the first ones, some 100m later we saw some bulls further away that were running in our direction. Got scared and drove back, but it turns out – they were running to their farm. 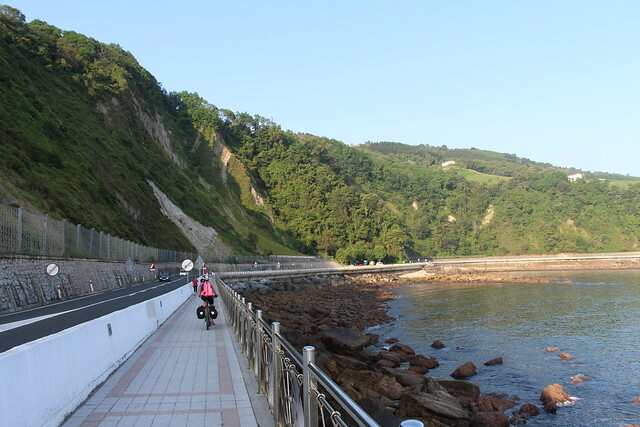 So in our 2nd attempt we got pass this part of the road, but it was a small adventure of its own. 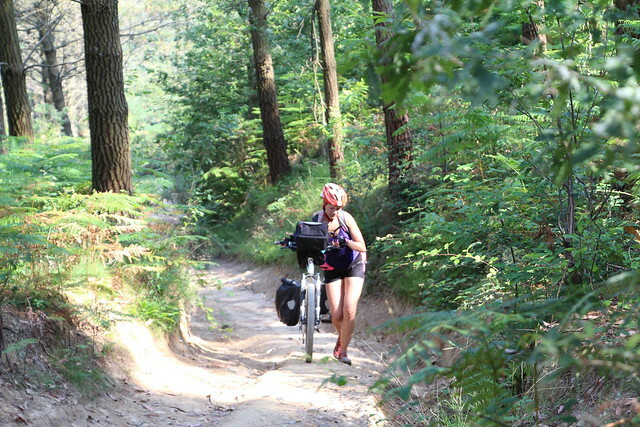 After that we continued to small forest roads. We took small breaks once in a while, and even had a 10 minute nap. Because we started early – 8 in the morning, today we reached Markina at about 19, so had few hours left to eat and look around. 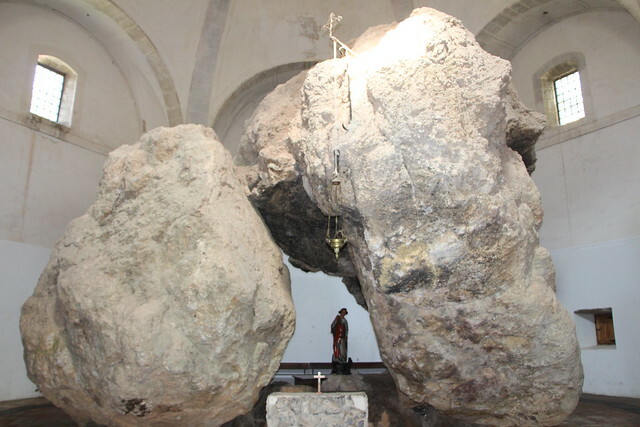 Checked out a local church – that had huge rocks inside. And then searched for food – there were 5-6 bars and cafes, but kitchens after 19 are already closed, they offered drinks, so our only option was a supermarket. This was only the second day, but after travelling 11h each day, I was so tired that it was hard even to sit at the table and plan something, so after eating I went to bed early at 21.